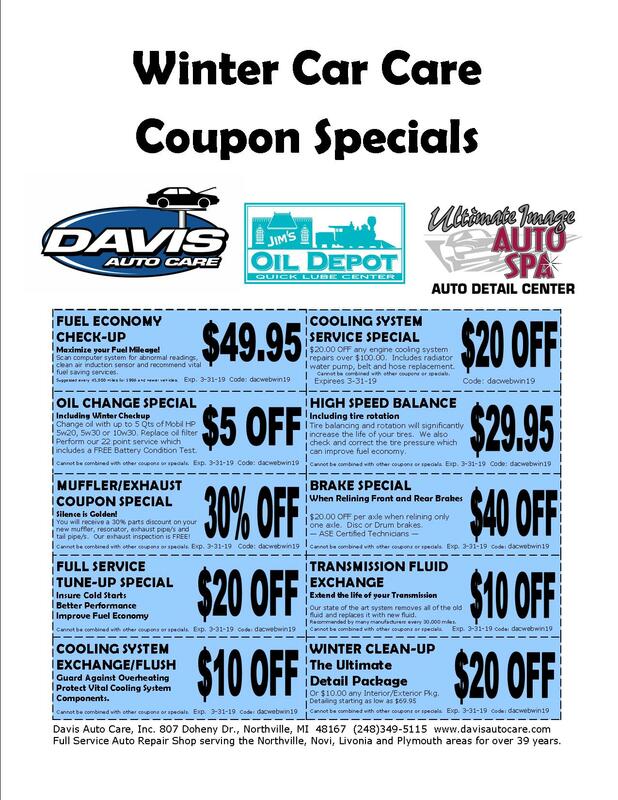 At Davis Auto Care we strive to offer one-stop shopping in an ultra-convenient, comfortable setting. We service most foreign and domestic cars, light trucks, vans, and sport utility vehicles. Extended hours. We are here to serve you bright and early at 7:00am Monday through Friday. Mondays and Thursdays we are open until 8:00pm, Tuesday, Wednesday, and Fridays until 6:00pm. All to accommodate your busy schedule. Night Owl-Early Bird Drop Box for after hours drop offs! Free Shuttle Service. Back and forth to home or work. Same day service. In most cases you'll be driving your vehicle home the very same day! Extended Warranties. Let us relieve the hassle of dealing with your after-market warranty company. We get the authorizations and coordinate repairs for you. Familiar faces you recognize, and who remember you! High-tech computerized diagnostic equipment to repair the most sophisticated of today's Domestic & Import cars, Vans, SUVs, and Light Trucks.